When we first did a piece on Holiday shopping apps – about 4 years ago – the “gee-whiz” developments were apps that helped you remember where you parked your car, or ones that had detailed maps of malls across America. BuyVia: Price comparisons, mobile couponing, price alerts and product reviews — along with secure online shopping. Clutch: Store all your coupons, as well as loyalty and gift-card data with this app. Favado: Cut your bills by comparing real-time sale data from more than 65,000 supermarket and drug stores nationwide. Goodzer: Compares prices on products ranging from deodorant to little black dresses carried by stores in your neighborhood. Ibotta: Receive cash rebates for everyday purchases in over 80 stores. Pounce: See a product you’ve been looking for advertised in a circular or catalog at a great price? Snap a photo of it with your iPhone and this tool lets you buy it directly from the retailer in two clicks. PriceGrabber: Scan products’ barcodes while shopping to see whether other retailers offer lower prices. PriceJump: Scan bar codes and compare prices from stores near them and at more than 5,000 online vendors. RedLaser: Scan an item’s bar code to compare prices at thousands of online retailers and local walk-in stores. RetailMeNot: Collects coupon codes and sale information from a range of retailers and lets you bookmark your favorite stores so that you can check for discounts while you’re shopping. ShopAdvisor: Search for your desired item (or scan its barcode), save it to your shopping list, and wait. The app will alert you when its price drops at any store. Shopkick: earn rewards simply for browsing — no purchase required. A final note – wherever you choose to download your new apps, there should be a rating/review system to give you an idea if this app is worth it, and if it is “safe” to download. Always check the ratings and reviews! 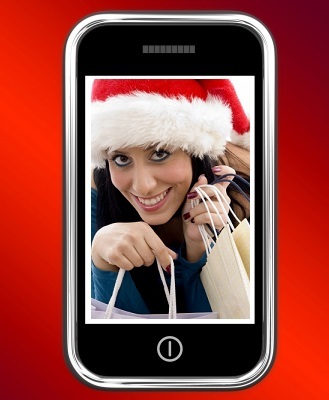 Have you downloaded any exciting shopping apps for the Holiday Season? Let us know over at the MindField Online Facebook page, and have a great weekend! We have heard a lot of noise about the “Death of Black Friday” this year. Is that true? I think it’s all relative. It’s still a huge shopping day, but maybe not as big as in the past. Why? I think shoppers are tiring of the hassle, and retailers are tiring of the negative headlines. 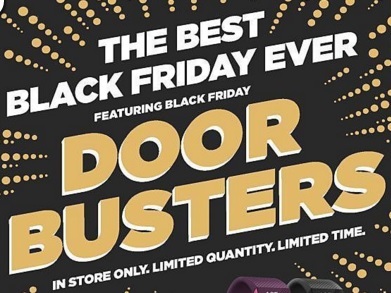 Stores have taken steps to spread out the deals over a number of days (opening on Thanksgiving has taken a toll), and limit the doorbusters – often flashpoints for inter-shopper conflict. This year’s Gotta Have item: big screen TVs! Read more fun facts here! Personally, I can see the benefits of the Cyber Monday thing. I have participated in the past, but never in gift-giving mode. Typically, I have been needing a new laptop for 3 or 4 months, and Cyber Monday is when I pull the trigger. I have saved hundreds of bucks, for sure, and all from the comfort of home. How about you? Are your holiday shopping habits changing? Is Black Friday still fun, or is it losing its charm? Are you steering more toward Cyber Monday these days? Let us know over at the MindField Online Facebook page! Once again, the Black Friday blog post – the Least-read Post of the Year®! Take a break from the craziness and check out some useful (or not) Black Friday links! Black Friday ripoffs (? ): An article that shows that many of those “once in a lifetime deals” are repeats from last year. In some cases, the price has gone up. IS that a ripoff? You decide. Where are you most likely to witness (or participate in) a Black Friday fistfight? Anyway, after you’ve done your combat shopping, please head over to theMindField Online Facebook page and give us a report of what you’ve seen. Big crowds? Craziness? Better or worse than you expected? Let us know…and have a great weekend! Tax time is an anxious time. 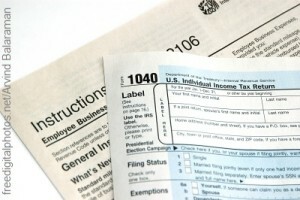 Depending on your income bracket, your cash situation or other circumstances, you may be dreading this time of year. And you may be thinking about ways to reduce your tax bill, some legitimate, others not so much. Just so you know, the IRS know all the angles. And they have issued a press release outlining some bad tax ideas that you, or a scammer, or a crooked tax preparer might be tempted to perpetrate. For all the details, DEFINITELY read the official press release. How about you? It’s never fun, but when you have your deductions and credits and all your documentation lined up, paying taxes can be a little less stressful. Have you got it together? Let us know over at the MindField Online Facebook page!